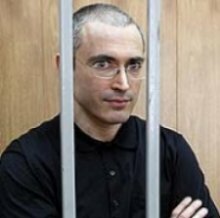 Even more intriguing is the case of Mikhail Khodorkovsky, arrested in October 2003 and jailed on charges of fraud and tax evasion. In May 2005 he was convicted and sentenced to eight years in a reformatory camp in Siberia. In contrast to Berezovsky and Gusinsky, Khodorkovsky, whatever his past financial misdemeanors, is not being persecuted because of the way he acquired his wealth. The fact is that all the robber barons who now control the Russian economy got rich in the same way: by bribing, cheating, stealing, and, in some cases, murdering their way to wealth. To Khodorkovsky’s credit, it should be noted that, since the end of the legalized looting of the Yeltsin era, he has turned himself into a model of probity and business legitimacy. The company he created, Yukos Oil, was one of the first Russian businesses to publish Western-style audited accounts, to pay taxes on time, and to deal fairly with minority shareholders and foreign investors. 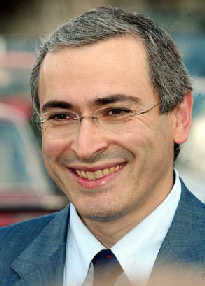 In his personal activities, Khodorkovsky emphasized his determination to reinvest his wealth in Russia, rather than ferret it away in Swiss banks. He gave generously to unfashionable charities and supported cultural and scientific exchanges with the West. Why did, then, Putin make an example of this model oligarch? Khodorkovsky was arrested not because of the way he made his money, but because of the way he chose to spend it. His generosity extended well beyond charities to political movements. Khodorkovsky financed all three of Russia’s opposition parties, mainly the liberal Yabloko and the pro-market Union of Right Forces, but also recently the Communists. He supported pro-Western think tanks that were critical of the Russian Government’s economic and foreign policies. He opposed the war in Chechnya. And he was said to have political ambitions, possibly including a run for the presidency in 2008, when Putin is required to stand down. Khodorkovsky’s independence came nowhere near to challenging Putin’s political control. The parties he supported financially, namely Yabloko and the Union of Right Forces, failed to secure even the five percent vote they needed to win any representation in the new parliament in the December 2003 elections. As for the idea that impoverished Russians would elect as president the country’s richest robber baron, this was widely dismissed in Moscow as a joke. But, for Putin it seemed to be unacceptable as a matter of principle that there should be any independent media and any centers of political activity outside Kremlin control. It is also rumored that the secretive Kremlin clan of siloviki – a group of former and current agents of the security services brought into the Kremlin by Putin – are behind the attack on Yukos.